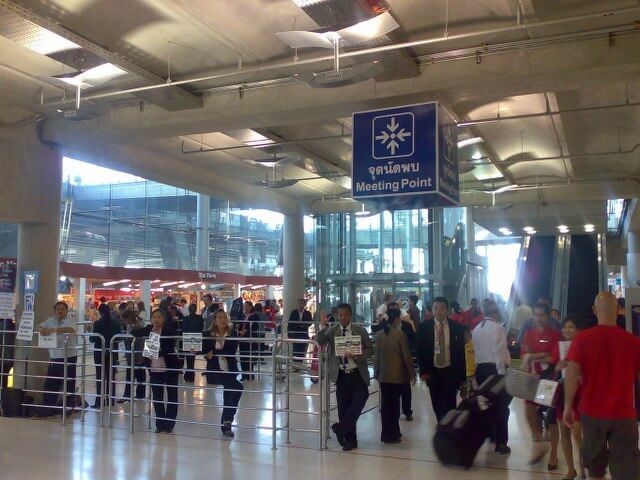 Should you prefer an easy and relaxing service from the Bangkok Suwarnabhum airport to your destination, after an exhausting flight; then look no further: book the taxi from Hans Lankari co ltd.! 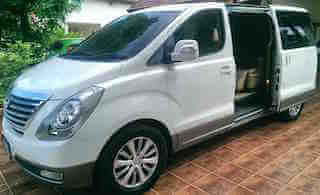 Our chauffeurs are experienced and know the airport very well, the journey in between, and all the locations of our rental properties and hotels. 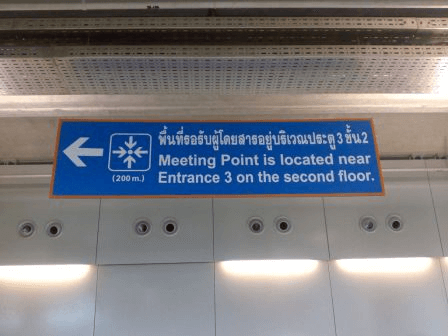 At the airport, the driver awaits you on the second floor; the arrival area, at the meeting point next to the exit number 3, wearing a Hans Lankari T-shirt and holding up a sign with your name on it. The chauffeur carries your luggage to the car and drives you to the right destination without stupid questions and offering "special services" or other hassles. 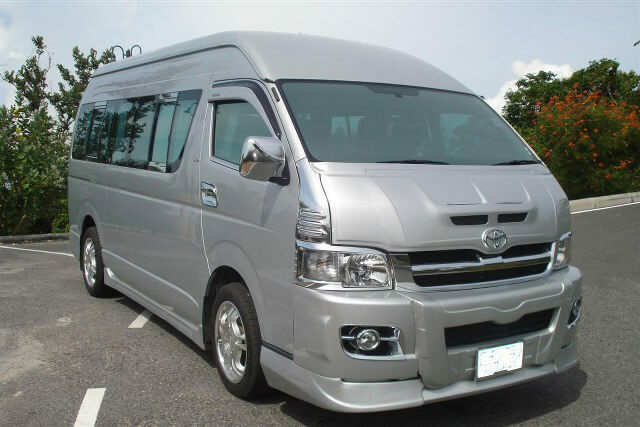 Our vehicles are clean, safe and new - spacious sedans, station wagons and mini-buses. All offering plenty of leg-space and luggage capacity. For a bigger band we also have a mini-bus with karaoke system! 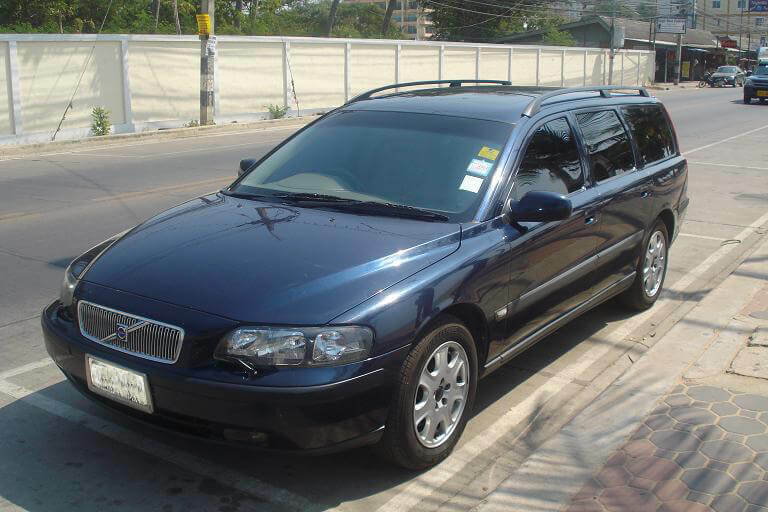 Sedan car 1 600 baht, station-wagon or van 2 200 baht, small mini-bus 2 800 baht and big mini-bus 3 500 baht. All prices include all toll-way and parking charges. A day at the zoo, The Crocodile Farm, Underwaterworld, etc. 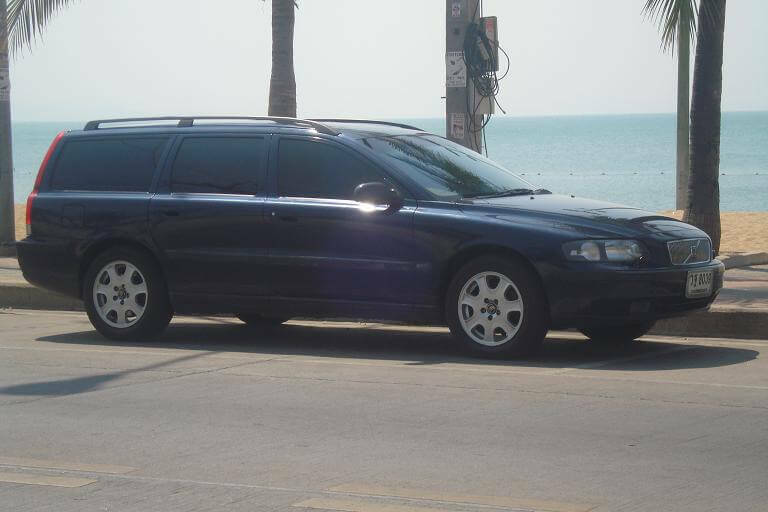 Hua Hin / Cha Am on "the other side of the bay"
Our chauffeurs are trained to behave themselves, drive decently and act kindly. They have been taught how to reach the destination by driving without trying to squeeze the car to its limits, and but still at a good pace. And most importantly they have been told WHERE to go before picking up the client; avoiding the hassles of navigating while driving. 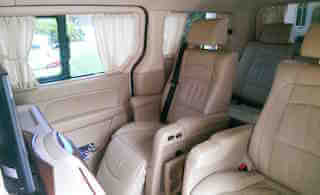 7-seater, with real VIP-class travelling. For passengers motorized reclainable seats with extendable leg supports to create a comfortable sleep during the voyage; just like the business / first class on board of the plane. Entertainment center with DVD-stereo, 22" screen, separate air-conditioning, power outlet 12 and 220 volts, storage space and darkened windows with curtains for your privacy. 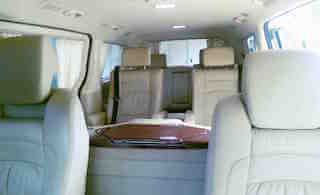 A confortable and silent vehicle to travel, clean and maintained for your comfort. 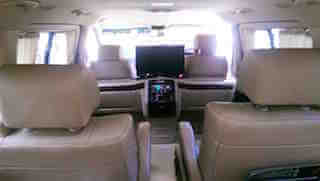 leather interiors, 10 +1 CD player, integrated GSM-phone, skylight, electric windows (tinted), automatic air conditioning. Very comfortable and safe to drive! A perfect car for families! 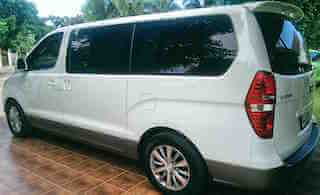 A long and tall vehicle registered for 16 persons. D4D motor with a lot of power. DVD-VCD player with 17" screen included. CD/MP3 player and great audio equipment including karaoke system. A car like brand new! 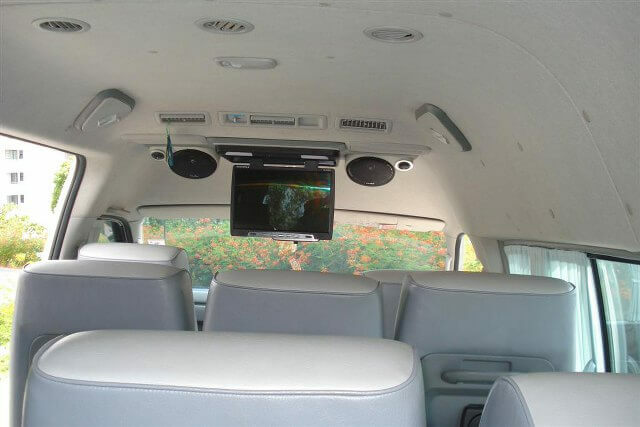 Two separate air conditioning systems, seat-belts for all passengers, electric windows, 7 full leather seats; 2 of them with 360 degrees movement, MP3/CD-player and LCD-screen for movies. what kind of car you require? flight number (if an airport transport)? flight scheduled time of arrival (if an airport pick-up)? name of the passenger/s (for the pick-up sign)?